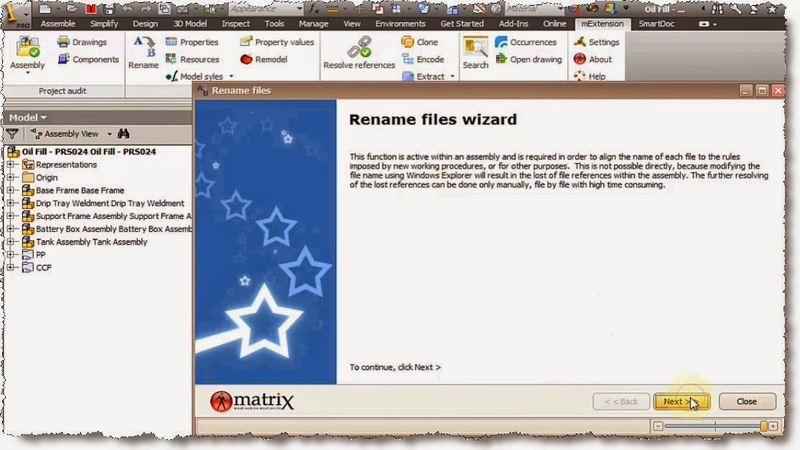 Rename function on the mExtension toolbar again. I know we had a short preview on the function in the past but now we are going to discuss other features. Not going to emphasize again on the utility of it, the time and money it saved me and will try and plunge right in. 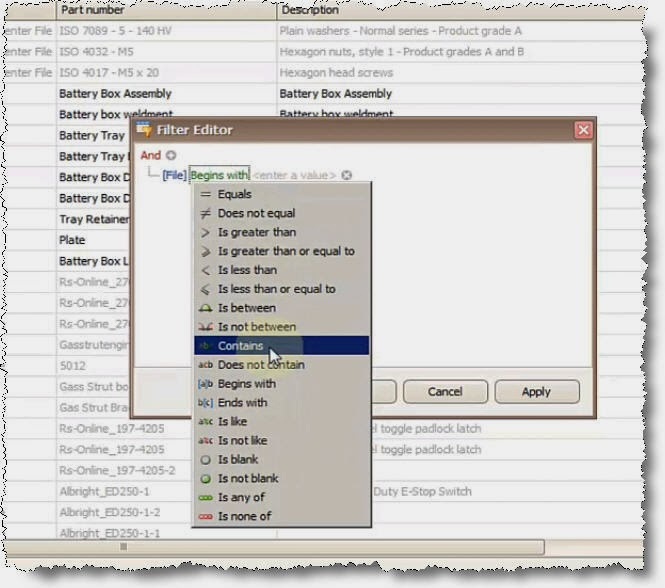 On short description the function will rename all files without loose of links between assembly, parts, and drawing. Just think of how tedious this would have been to do it by hand. I have once again open my assembly and clicked on the Rename button on the mExtension toolbar. 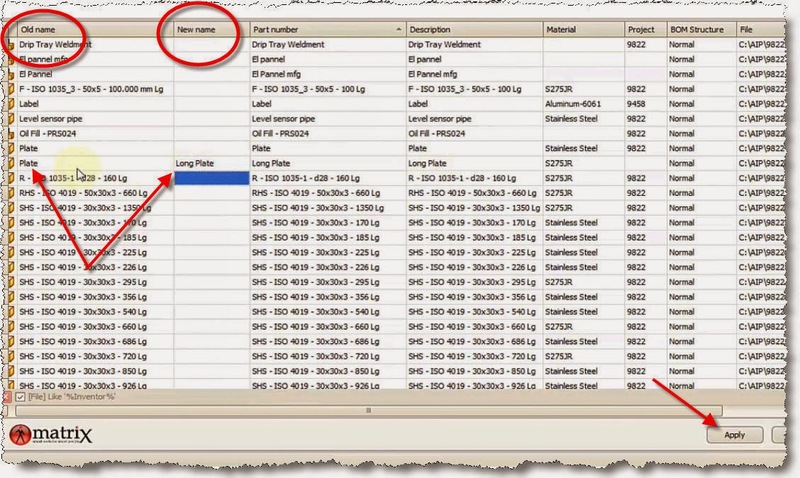 If you right click on any of the items you can , locate on disk, locate in the assembly, open, as well as refresh the list or change it from regular list to assembly tree type. 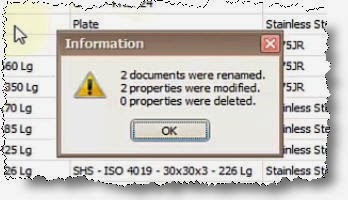 The items in grey are library files and they cannot be edited from within the project. If you want to by-pass this security issue than you need to open the assembly from within a project that doesn’t have them as library. You can use the “default.ipj” project that comes with Inventor. 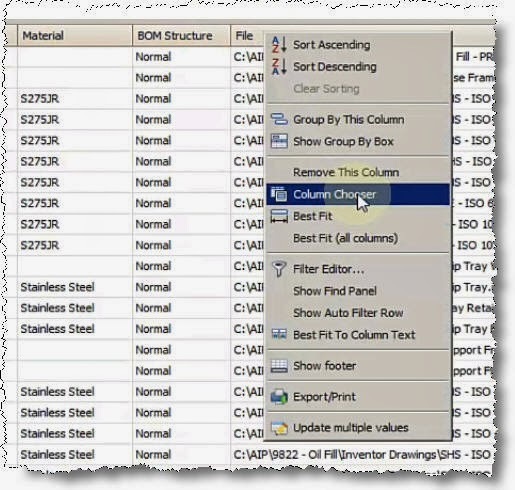 Let’s clean the list and put a filter on the file path and keep just the files that are inside my “Inventor Drawings” folder. Sorting by part number revealed that I have two components with same name and part number “Plate”. One is in the electric panel folder and the other in the root of my workspace. I will rename one of the components from “Plate” to “Long plate” and hit apply. 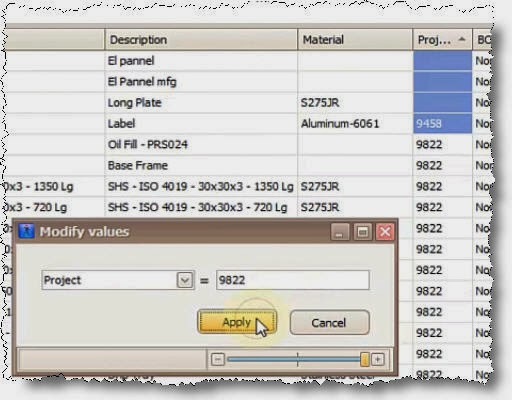 Two files were renamed (the model and the drawing) and two properties are modified (Part number and Description). I will update the project number on the parts with missing value. 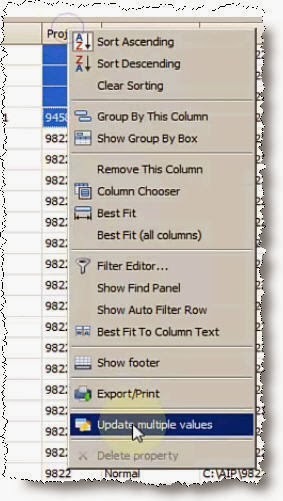 Select all cells that need updating, right click on the column name and choose “Update multiple values”. Set in the desired value and click apply. 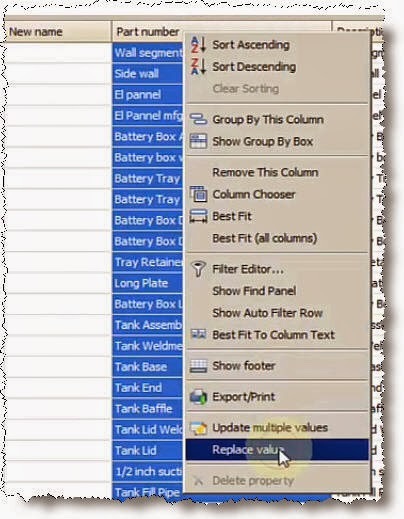 Let’s do a “replace value” on the files containing “wall” and change it to “plate”. It is case sensitive so it will replace just lower case. As with any window of the mExtension you can copy the contents to clipboard and paste it to word, excel or any other program for advanced reports and data manipulation. Looking in my “El Panel” folder I can see that the program changed the name of the model “Plate” to “Long Plate” and changed the name of the drawing as well. If we open the drawing we can see that it’s still linked with the model and it will be linked with the assembly as well. This concluded my presentation on rename function.